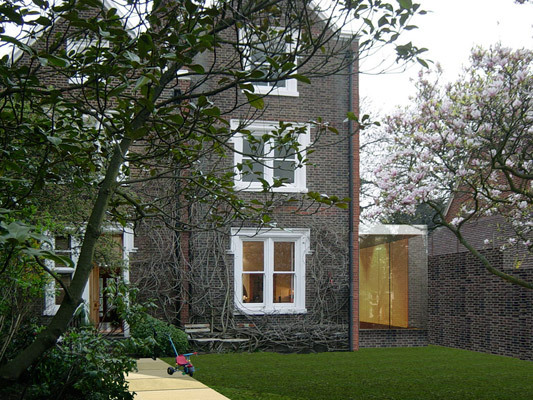 Situated within Wimbledon village we were asked to design a single storey extension to incorporate a dining area linking the kitchen, sitting room and garden. The house, built as a pair of semi detached houses from the late Victorian period displays a prominent run of gables to both the rear and front elevations, stone or plaster dressings around the windows and doors and tall brick chimneys. A simple glass white framed box is proposed as a side addition which in turn generates a raised GF terrace to the rear and readdresses some balance to the more ornate plaster dressings to the elevations. 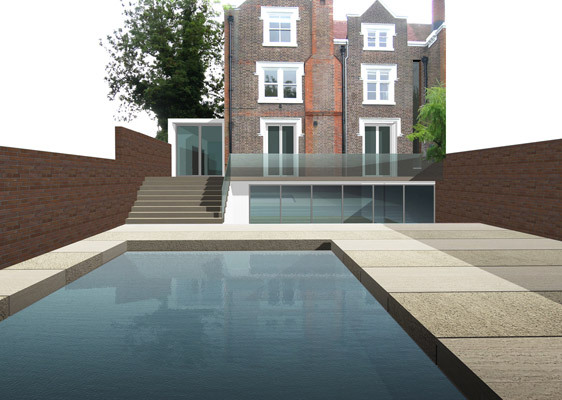 The basement rooms, which are opened up and extended to the garden, are paired in design to the dining extension allowing the dominant ground floor symmetry to be maintained.